It was a jam-packed weekend with Kentucky harness action and New York prestige, going Friday through Sunday. Here’s how it turned out for our suggested contenders at The Red Mile, Yonkers and the tracks from our horses-to-watch (H2W) list. Kentucky Grand Circuit action began well for us on Sept. 27, as we nabbed each of the Bluegrass Stakes for frosh-colt trotters, with the prices increasing as each win developed. Father Patrick won but only paid $2.10 (a price beginning to look like an overlay considering the colt’s magnificent record). Then, Oddson Almethyst went off the top choice, something we did not predict, and paid $4. The best hit was next, as Outburst won and paid $16.20. At our The Breeders Crown Countdown blog we analyzed the New York Sires Stakes Championships at Yonkers Saturday night, where eight finals were worth $225,000 each. Our contenders did, indeed, turn out to be live entries but some went off favorites and to our chagrin, lost anyway. We had three winners, including the outrageously obvious He’s Watching ($2.10), Fool Me Once ($2.70) and one of the four second-highest paying winners, Social Scene ($10.20). Three others were second, one was third and the other broke and was eliminated at the start. The countdown blog, in cooperation with the Hambletonian Society and TwinSpires, is your exclusive bettors’ aid for handicapping top contenders’ events heading toward the October classics. Check it out each week in league with our Thursday TwinSpires blog as we become closer to our live coverage of the eliminations and finals from Pocono Downs on Oct. 12 and Oct. 19. Saturday at The Red Mile we once again backed Captaintreacherous (photo above), who put in his speediest effort to date, a 1:47.1 victory ($2.10). To hear Ray Cotolo's call of the race, click here. 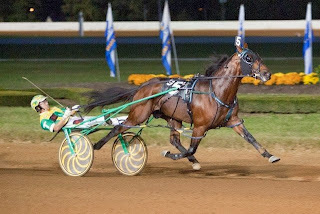 Our other Saturday choices resulted in just two thirds with Carracci Hanover and Wake Up Peter. Sunday at The Red Mile produced two seconds with Shared Past, the favorite, and Lindy’s True Grit at a surprising 29-1 ($8.20 to place). There were two thirds with Deadliest Catch and Mistery Woman. San Pail, one of the best trotters bred in Canada, makes his return to the track after more than a year, on Monday night at Mohawk. He only has five rivals in the $34,000 Preferred Trot, but the quintet includes Intimidate, arguably one of this season’s hot square-steppers. 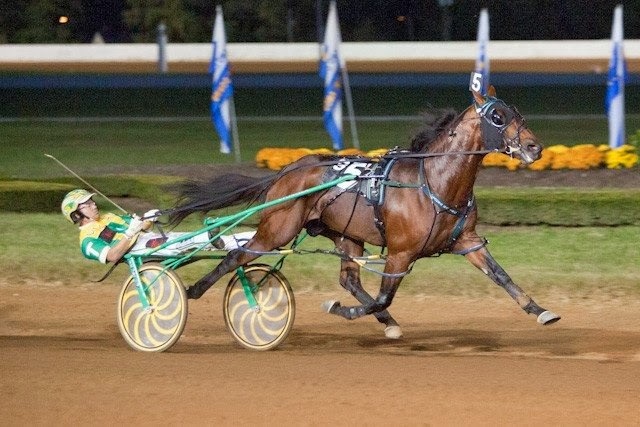 The Quebec owned four-year-old demanded attention last fall when he captured the Breeders Crown Final against a group including Hambletonian winner Market Share. Intimidate comes into the race with a four race winning streak which includes the $214,000 Credit Winner at Vernon where he defeated the best older trotters in North America. Trainer Luc Blais tried to race San Pail this year but he broke stride repeatedly. Another Canadian harness facility is in danger of extinction with the future of Hiawatha Horse Park looking bleak. “There’s no compensation for us. Just close your business down and basically file bankruptcy," said Hiawatha owner Jim Henderson. He laments the uncertainty of his track in a story noting that there is enough in their purse pool to operate for another two years but that will depend on the government. To read the story, and watch the video, please click here. What about changing harness racing’s Triple Crown? Many people don’t even know there are Triple Crowns for pacers and trotters, no less that a horse has to participate six races, at least, to win a “Crown.” Click here for a controversial essay about the sport’s business and the value of holding Triple Crowns. We have not been counting but we are aware that this season is already responsible for numerous world-record miles on all sized tracks. 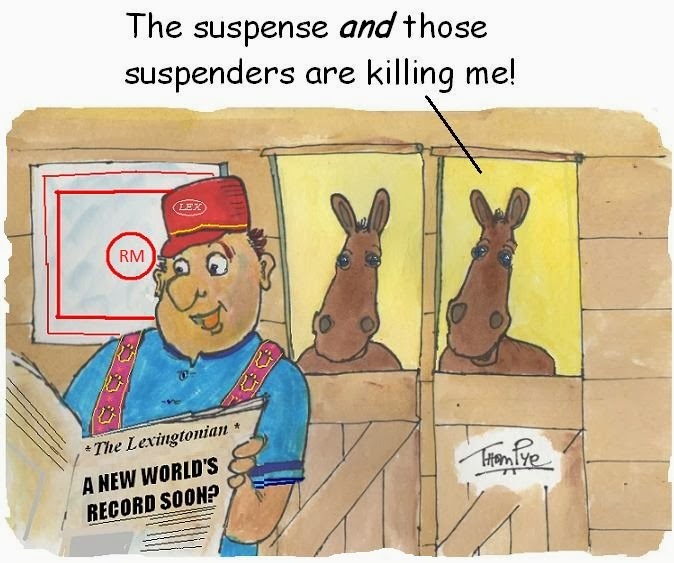 The industry puts speed at a high premium but, as readers of our material over the years know, the record-breakers are sometimes spotty performers and many of them get a speed badge based on the efforts of another horse’s shortcomings. Truly fast horses, ones that break records by cutting all the fractions and dismissing challenges (Captaintreacherous, I Luv The Nitelife and Father Patrick this season as examples) are the truly fastest in the sport and deserve holding speed badges. 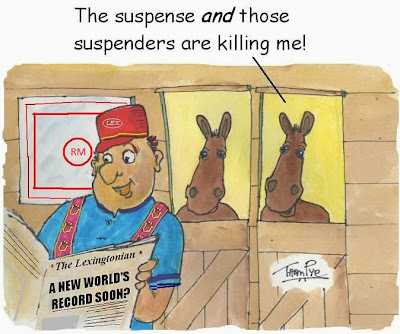 And, all in all, only the earned speed records matter when it comes to handicapping. Don’t be fooled by fast times; just be frightened by truly fast horses. 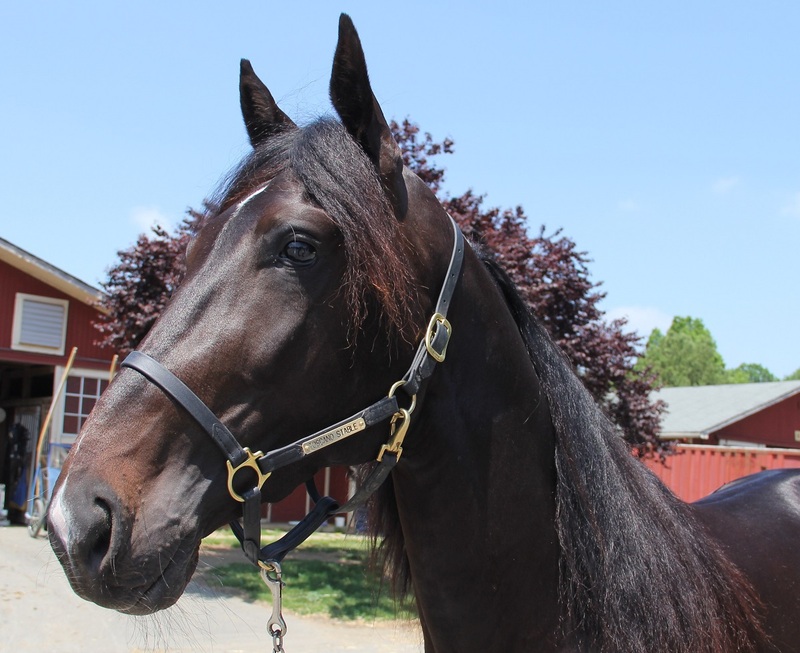 The progeny of trotting sires continue to be popular and ultra-valuable overseas. Offspring from Donato Hanover and Cantab Hall fetched the top prices at yearling sales in Italy and Sweden this week. In Italy the colt Toronto AS was sold for $265,000. He is a Donato Hanover product. In Sweden the filly Charlene Am, by Cantab Hall was sold for $95,000. Charlene Am was sold on the first day of the Swedish Kriterium sale. The average price of $22,500 was equal to last year but fillies were more in demand this year and the average price for fillies rose by 44 percent. Pompano Park is set to kick off its 50th anniversary pari-mutuel season on Saturday, Oct. 5. This season will feature new wagering options as well as several new faces on the track. There will be a Pick-5 wager to go along with a Pick 3 and Pick 4. Some of the new stables expected for competition include those of Jim Hardy, Chris Lems, Dave Stratton, Bruce Clarke, Jimmy Whittemore and Greg Wright. Returning stables include stock from Mike Deters, Wally Hennessey, Jim McDonald, Bruce Ranger, Joe Pavia, Jr. and Rick Plano. An addition of Sunday racing will begin in mid-November.